The budget stalemate between the Fiscal Oversight Board, the Governor, the Senate and the House, could end up not being that bad after all. If, as a result of it, all parties begin seeking a consensus, they could reach an agreement regarding what are the limits of the Board’s powers, understanding what they want to do with what they can do, and recognizing as well that the executive and legislative powers that define policy in our republican form of government are not as far apart as it appeared. The Board believes that under PROMESA it has the power to require actions not related to the budget on the government as a precondition to certify an otherwise compliant budget enacted by the Legislature and the Governor. Ricardo Rosselló, Thomas Rivera-Schatz and Carlos Johnny Méndez jointly believe, and I think the three are right, that the Board cannot require action on a matter outside of their jurisdiction as a condition to certify the budget enacted by the elected government that is within the numerical parameters previously set by the board. On this matter, Rosselló, Rivera-Schatz and Méndez are right. When the Indian Territory of Oklahoma sought admission, Congress approved an admission act in 1907 that conditioned admission to moving the territorial capital to Guthrie (a small town with a third the current population of Morovis, Puerto Rico), a requirement that made no sense, then or now). In Coyle vs Smith, our country’s Supreme Court ruled that Congress could not impose as a precondition to statehood that which it could impose as a state. In a parallel fashion, if the Board cannot pass a law or impose the elimination of a labor law on its own, I believe it cannot achieve the same result imposing it as a precondition to certifying a budget enacted by the government elected by the people if the Congress has not authorized it. The Board is using correctly many powers delegated to it by Congress, but imposing a specific official at the Puerto Rico Electric Power Authority, as the federal court has already ruled, is not one of them. Likewise, if the lawsuit filed by Rosselló and backed by Rivera-Schatz and Johnny Méndez moves forward, the court could very well determine that demanding the elimination of Law 80 of 1976, either. If the Board wants to eliminate the risk that be the ruling, it should reevaluate the enacted budget in order to certify it and perhaps request that it be amended to deal with the items they cannot accept. 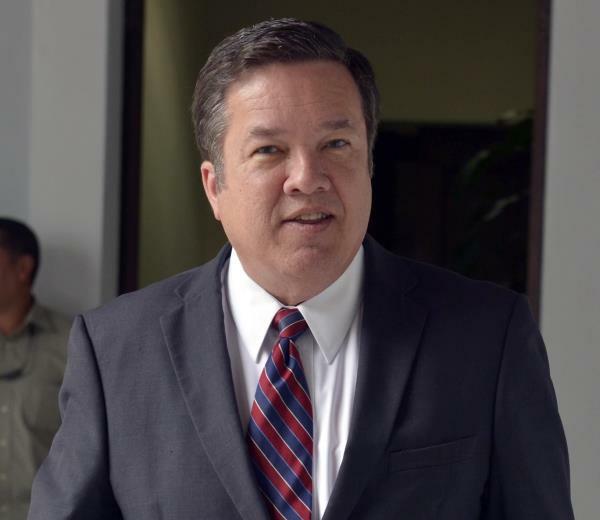 In addition to considering that request, the Governor and the legislative leaders could consider the Law 80 amendment proposed by Rivera-Schatz eliminating Law 80 but grandfathering current private sector employees if they believe that it would improve the climate to attract new investment and create new jobs without taking away current employees’ existing rights. Despite the suit filing, this is a great opportunity to seek consensus, tothe benefit of Puerto Rico, the Fiscal Oversight Board and even the ruling New Progressive Party.